​Have you had a case of the grumbles lately? Sometimes a negative attitude can hit you out of nowhere, can’t it? Life is an amazing gift from God that should inspire gratitude. Yet some mornings we wake up on the wrong side of the bed, and the day goes downhill from there. We grumble and complain. This may or may not have happened to me the week our garage door opener broke and my daughter’s computer crashed. ​As we read scripture, the Holy Spirit brings encouragement, strength, and peace to our hearts. Complaining can set our minds on a negative cycle, but God’s Truth renews our thoughts. As we read, meditate, and obey it, God’s Word takes root in our hearts. A daily dose of the Word helps ward off a negative spirit like nothing else. ​When we choose to praise God in the middle of our challenges, it brings Him honor and shifts our focus. As we worship, our hearts are drawn to closer fellowship with Jesus, and our eyes are opened to His love and care for us. ​God makes the sun rise even on the days when the garage door opener breaks. He gives us a new gift of 24 hours each morning. Thanking Him for simple blessings grows gratitude in our hearts. Even in life’s tough moments, in hospitals and funeral parlors, God gives us grace. Recognizing and thanking Him for His goodness lightens our heaviest burdens. 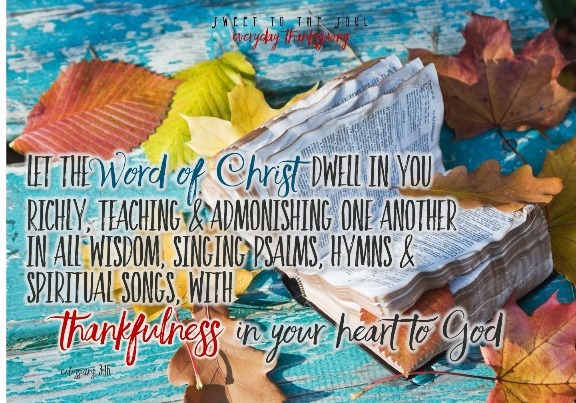 ​The next time a computer crashes around here, instead of coming down with a case of the grumbles, I want to hold fast to God’s Word, sing my praise loud, and start giving thanks! Let’s ward off whining by cultivating contentment and growing gratitude. How about turning the praise music up loud today? ​Betsy de Cruz enjoys God, life with teenagers, and dark roast coffee. She and her crazy nomad family are currently spending 9 months in Dallas, Texas, but they look forward to returning to Turkey, their favorite home. Betsy’s passion is to encourage women to get God’s Word in, so their faith can spill out, even during life’s bumpy moments. She writes about everyday faith at faithspillingover.com. You can also connect with Betsy on Twitter , Facebook, and Pinterest. SOOOOOOOOOOOOOOOO needed this today!!!! Thank you for the reminder, Betsy! Blessings to you, sweet Crystal. I think we ALL need it! There is so much truth here...complaining does zap contentment out of our hearts. Thank you Betsy! Happy THANKSGIVING to you, Jodie. Blessings, #SoulFriend! That verse from Colossians is so helpful in changing our attitude - thanks for this, Betsy. Thank you! Turning up the music today!!! Love it, Betsy! I may or may not have complained about my cluttered house this week:) I needed this reminder today, sweet lady! I may or may not have complained (at least on the inside) about a lot of stuff this week! Reminding myself here. Such good advice. The holiday of giving thanks actually translates into a lot of baking and food prep -- which I love! But it is also tiring, and I find myself slipping into discouragement . . . and grumbling. Thanks for the upbeat attitude check! Amen my friend! I love when you wrote "complaining zapa the contentment right out of my heart". There is such truth in those few words. You say in point two that we honor God when we praise Him and this is what I try to focus on. Also I have learned that no one likes a complainer! :) Praying you have a blessed Thanksgiving! Wonderful message Betsy! I found myself grumbling this weekend and then God convicted my heart so quickly. We are so blessed! And so many are truly in despair. 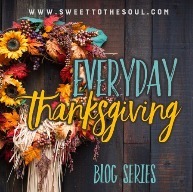 Thank you for this reminder to help us cultivate true everyday thanksgiving. Betsy, always a reminder. My flesh gives in too easily. One thing I realized the other day is that God could have kept me from the irritants -- the crashed computer. If He doesn't, well then, I suppose He means it as a lesson. Thank you for your words!